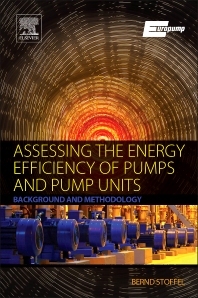 Assessing the Energy Efficiency of Pumps and Pump Units, developed in cooperation with Europump, is the first book available providing the background, methodology, and assessment tools for understanding and calculating energy efficiency for pumps and extended products (pumps+motors+drives). Responding to new EU requirements for pump efficiency, and US DOE exploratory work in setting pump energy efficiency guidelines, this book provides explanation, derivation, and illustration of PA and EPA methods for assessing energy efficiency. It surveys legislation related to pump energy efficiencies, provides background on pump and motor efficiencies, and describes the concept of Energy Efficiency Index (EEI) for circulators and single and multi-pump systems.